This book provides a comprehensive examination of the research methodology of different modalities of emotion recognition. Key topics of discussion include facial expression, voice and biopotential signal-based emotion recognition. Special emphasis is given to feature selection, feature reduction, classifier design and multi-modal fusion to improve performance of emotion-classifiers. 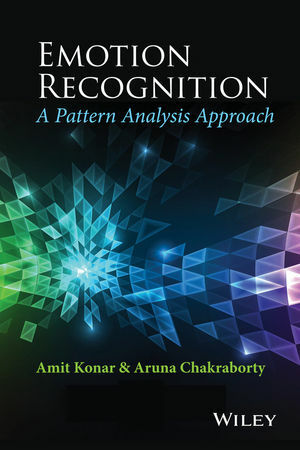 Written by several experts, the book includes several tools and techniques, including dynamic Bayesian networks, neural nets, hidden Markov model, rough sets, type-2 fuzzy sets, support vector machines and their applications in emotion recognition by different modalities. The book ends with a discussion on emotion recognition in automotive fields to determine stress and anger of the drivers, responsible for degradation of their performance and driving-ability. There is an increasing demand of emotion recognition in diverse fields, including psycho-therapy, bio-medicine and security in government, public and private agencies. The importance of emotion recognition has been given priority by industries including Hewlett Packard in the design and development of the next generation human-computer interface (HCI) systems. Demonstrates direction of future research through new technologies, such as Microsoft Kinect, EEG systems etc. Amit Konar is a Professor of Electronics and Tele-Communication Engineering, Jadavpur University, India, where he offers graduate-level courses on Artificial Intelligence and directs research in Cognitive Science, Robotics and Human-Computer Interfaces. Dr. Konar is the recipient of many prestigious grants and awards and is an author of 10 books and over 350 research publications. He offered consultancy services to Government and private industries. He served editorial services to many journals, including IEEE Transactions on Systems, Man and Cybernetics (Part-A) and IEEE Transactions on Fuzzy Systems. Aruna Chakraborty is an Associate Professor with the Department of Computer Science and Engineering, St. Thomas' College of Engineering and Technology, India. She is also a Visiting Faculty with Jadavpur University, where she offers graduate-level courses on Intelligent Automation and Robotics, and Cognitive Science. Her research interest includes human-computer interfaces, emotional intelligence and reasoning with fuzzy logic.